In this article you will learn a few pointers that will show you how to write a love song that moves your partner deeply. So what is a love song all about? Well, for one it’s about passion. It’s about making your loved one feel more than what’s contained in the words. It’s about communicating something powerfully. Allowing your partner to get a “glimpse” inside your head… and gain a deep understanding of how you feel about them. What will help you accomplish this? Well, here’s a few tips on how to write a love song that will help. Firstly, before you begin to write… it’s a good idea to build a picture in your mind of your partner. And feel the emotion run through you as you look at this image. Once you are feeling this powerful emotion run through you, only then is it time to begin writing. Don’t sit there trying to “craft” the “perfect” line. Instead, write freely… if anything at all occurs to you… write it down. Now is the time to pour your feelings onto that piece of paper. You can hone it later. After you’ve done this four about 20 minutes, take a short break. Come back to your lyrics with fresh eyes. What you’ll see is a very emotional outpouring of your feelings for this person. Now what you need to do is hone your message. To do this, begin cutting everything that doesn’t work in the context of the song. Cut, cut, cut until your lyrics are more focused. Also, look for the lines that “jump off the page” and contain some really meaningful information. When you see one of these, consider pulling it out and using it as a focus point for your song, such as a chorus or hook. After you’ve spent some time editing and re-working your lyrics, you’ve got a song! This little process should really get you on the way to writing a great love song for your partner. 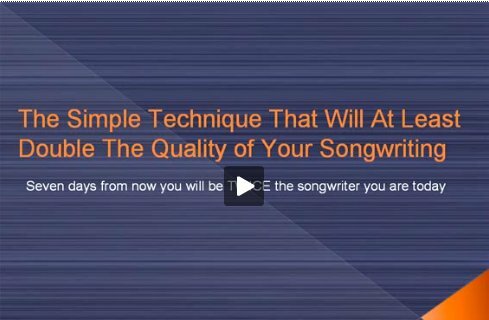 If you’d like to learn more about the songwriting process, you can look into my songwriting course by clicking here.